The American Red Cross Silicon Valley Chapter serves over 1.8 million people in over 1,300 square miles in Santa Clara County. 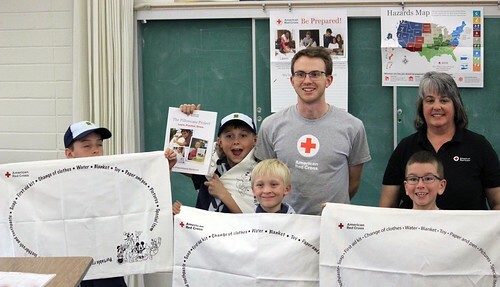 The American Red Cross Silicon Valley Chapter serves almost two million people in Santa Clara County. Founded in January 2009 with the merger of the Palo Alto Area and Santa Clara Valley chapters, the American Red Cross Silicon Valley Chapter is a non-profit, humanitarian organization that depends on the generous contributions of time and money from local Santa Clara County residents and companies to provide services and programs that help our community prevent, prepare for and respond to emergencies. Led by volunteers and supported by community donations, your American Red Cross of the Silicon Valley is dedicated to saving lives and helping people prepare for, respond to and recover from emergencies. Office Hours: 8:30am to 5:00pm Monday thru Friday. (855) 559-0333 or NCCRPublicAffairs@redcross.org to reach the on-call public affairs representative for all other Red Cross media inquiries. Ken Toren has served as CEO, COO, VP, Director, Board Member, co-founder, and advisor for start-ups, private/public companies, and non-profits. He has raised venture capital investments of $20M+, consistently generated $MM+ in annual revenues, led mergers/acquisitions and been responsible for non-profit fundraising campaigns totaling $200M. In the healthcare sector, Ken held leadership roles with REDmedic, Parkinson's Institute and Clinical Center, VertiQ Software, Cancer CAREpoint and UCSF Global Health and Asthma Research. In the for-profit sector, Ken was an executive with several companies including LONMARK International, Onomy Labs, Grey Zone, KickFire, ActivIdentity, and LECG. Ken's non-profit experience includes executive staff roles in JCCs/Jewish Federations and at Hope Services. No stranger to community involvement, Ken served as Chairman of San Andreas Regional Center and Board Member of Hope Services, LSA Homes, NOVA, YMCA, and KCAT TV15. Ken holds a B.S in Public Health and a M.Ed in Hospitality and Tourism from Temple University in Philadelphia, PA. He lives in Los Gatos, California, with his wife, children, and Border Collie rescue dog. Co-Founder, VP of Marketing, TTi, Inc.
Marketing Director, Acosta Sheet Metal Mfg. During the month of March, eight more "Sound the Alarm" events were held in our American Red Cross region.